Established in 2007 and located in Scioto County in South Central Ohio the Scenic Scioto Heritage Trail offers those who travel its over 84-miles a journey through the rugged, heavily wooded Appalachian hill country and through an area rich in history, full of river lore and native American influences. Currently containing 41 points of interest the Scenic Scioto Heritage Trail enables the traveler the opportunity to capture the full flavor of the region and experience the varied topography and natural beauty of the area. Are You Using Amazon Smile? If you shop on Amazon you can now also support the Scenic Scioto Heritage Trail with your purchases! Amazon Smile is a simple and automatic way for you to support your favorite charitable organization every time you shop, at no cost to you. When you shop at smile.amazon.com you’ll find the exact same low prices, vast selection and convenient shopping experience as Amazon.com, with the added bonus that Amazon will donate a portion of the purchase price to your favorite charitable organization. You can choose from nearly one million organizations to support. How do I shop at Amazon Smile? To shop at Amazon Smile simply go to smile.amazon.com from the web browser on your computer or mobile device. You may also want to add a bookmark to smile.amazon.com to make it even easier to return and start your shopping at Amazon Smile. Which products on Amazon Smile are eligible for charitable donations? Tens of millions of products on Amazon Smile are eligible for donations. You will see eligible products marked “Eligible for Amazon Smile donation” on their product detail pages. Recurring Subscribe-and-Save purchases and subscription renewals are not currently eligible. Can I use my existing Amazon.com account on Amazon Smile? Yes, you use the same account on Amazon.com and Amazon Smile. Your shopping cart, Wish List, wedding or baby registry, and other account settings are also the same. How do I select a charitable organization to support when shopping on Amazon Smile? On your first visit to Amazon Smile (smile.amazon.com), you need to select a charitable organization to receive donations from eligible purchases before you begin shopping. We will remember your selection, and then every eligible purchase you make at smile.amazon.com will result in a donation. 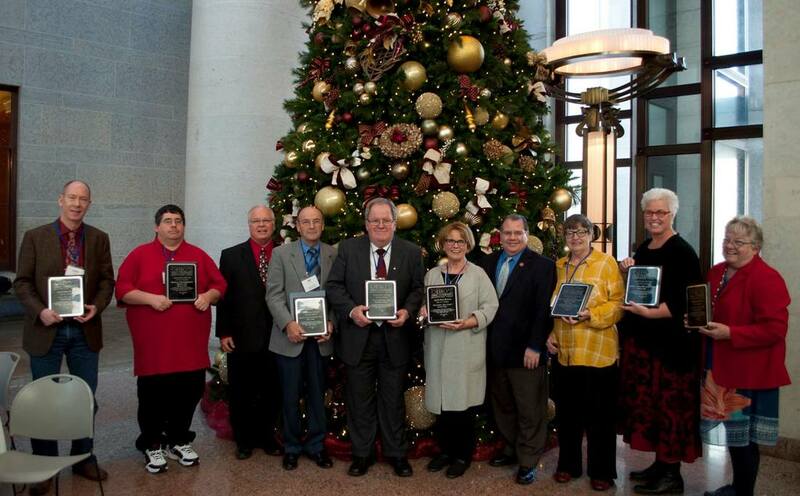 The Scenic Scioto Heritage Trail was recognized on Tuesday, December 18, 2018 by the Ohio’s Hill Country Heritage Area and Heritage Ohio with an Appalachian Heritage Award in a ceremony to be held at the Ohio Statehouse in downtown Columbus. Each year the Ohio Hill Country Heritage Area partners with Heritage Ohio to seek out and recognize inspiring practices by individuals and organizations located in Ohio’s 32- Appalachian Counties that value our history, culture, and natural environment. SSHT Committee President Bill Tipton pictures 4th from the left. The 2018 Holiday Ornament is Here! The 2018 Scenic Scioto Heritage Trail commemorative ornament features the Old Fashion Sorghum Festival held each October on the John R. Simon Farm located on Carey's Run - Pond Creek Road. The festival has become one of the area's favorite events. Each year you are taken back to the 1800's when Sorghum was the leading sweetener made from Sorghum Cane. Delicious in flavor, rich in potassium and protein, the syrup can be poured on pancakes and biscuits. For over 30 years, the 5th generation Simon Farm has played host to thousands of visitors that come to enjoy rural Scioto County. This free event is easily accessed from State Rt. 73, State Rt.125 and State Rt. 52. Visitors enjoy listening to local musicians play Appalachian stringed acoustical music, local artisans make Apple Butter, homemade soap, toys, furniture, dulcimers, harmonicas, grapevine wreaths, wall hangings and hand made quilts. The purpose of the event is to provides a place for the area's excellent artists to demonstrate and sell items in the lovely Southern Ohio Hill Country, celebrate our heritage and preserve tradition. To order your ornament contact Bill Tipton at 740-357-2070. Or call Debbie Lang at 740-821-0999 or Bill Tipton at 740-357-2070. Each ornament is just $15. Please contact Debbie or Bill for more information or to purchase an ornament. Scenic Scioto Heritage Trail presents a special edition collectors ornament to commemorate the 100th anniversary of the Sciotoville C&O Railroad bridge. Click on the train to learn more! The Scenic Scioto Heritage Trail Committee reminds everyone that all the ornaments from previous years are also still available in limited supplies as well as complete sets. If you are interested in one of our ornaments from previous years please contact Bill Tipton at via email at: wtipton3@columbus.rr.com to make arrangements. All ornaments are $15.00 plus $2.00 handling and postage. Special thanks to former Scioto County Engineer Clyde S. Willis for his inspiration and vision in making the Scenic Scioto Heritage Trail a reality!